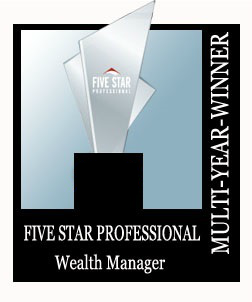 Orange Coast Magazine and Five Star Professional partner to find wealth managers who satisfy 10 objective eligibility and evaluation criteria. In order to consider a broad population of high-quality wealth managers, award candidates are identified by one of three sources: firm nomination, peer nomination or pre-qualification based on industry standing. Credentialed as an investment advisory representative or a registered investment advisor. Non-institutional discretionary and / or non-discretionary client assets administered.